George Arthur has had rough way in his ambition as a soccer adminisrator after his playing carrier. He has that huge reputation of excellence as a player of both BA United and Asante Kotoko. As far back as 1982, he was a regular feature in BA United and had the oppotunity of drawing inspiration from Kofi Nnum, Dan Owusu, Ben Fokuo among others before joining Kotoko in 84 alongside Saara Mensah and Opoku Sampane. A class of his own he was in 1987 contributing emensly to Kotoko`s defeat of WAC of Morocco in the African Clubs Championship cup campaign. As if that was it all, he recorded as one of the few Kotoko players lucky to score two goals, unswered, against potent Hearts of Oak. Arthur then in Black Star camp, played on request of Kotoko and gave his club a two nill win in a first round league match in Accra. On his return to BA United after his play abroad, he really combined experience with hardwork to push the club to another level with Joe Okyere, Awudu Adama, Kwaku Fori, Ekow Badu and Anane Kobo etc. The following season saw him back to Kotoko alongside Joe Okyere before joining Ahly in 94. He made all the difference, giving Asante Kotoko a late win against Goldfields in Kumasi and begun the slaughter in Kotoko`s 3:0 win over Merekeih in 93 with a fifth minute goal. 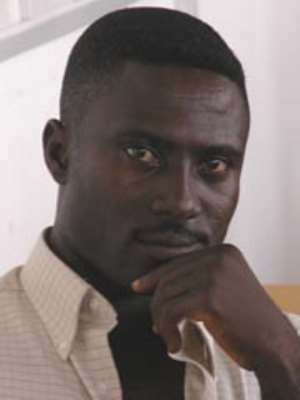 In his last days with Kotoko in 1999, the good old Arthur became more inspirational to Ernest Boateng, Muhamed Polo, Esumang Dadzie Prince Adu Poku etc. He still played a typical George Arthur football combined with display of discipline. I am waiting for a day to see Arthur as a coach other than his role in soccer at the moment since he has what it takes to breed players to bring glory to the nation. Ghana soccer would keep seeing a lot of him so far as he is still in the game.